Honda Expanding Hybrid Vehicle Offerings in the U.S. 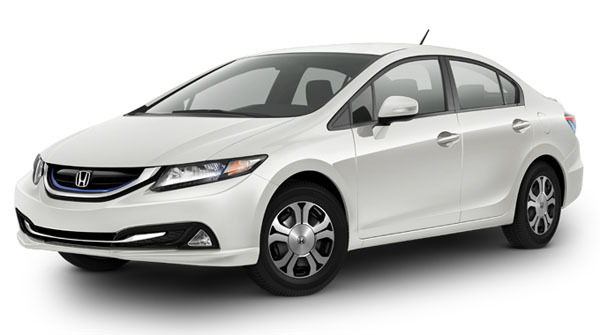 The Honda Civic Hybrid is just one of the vehicles that the brand is looking to expand on over the next year. Honda is looking to do its customers and Mother Earth a solid by continuing the expansion of their Earth Dreams ™ Technology powertrains and making hybrids more viable in a crowded marketplace. Honda expanding hybrid vehicle offerings in the United States is just another step in the automaker’s commitment to reduce its carbon footprint by lowering emissions. According to Honda, this expansion strategy will take place over the next three to four years. This transition will include changes to the lineup of the advanced technology system vehicles such as the Honda Insight. The U.S. model of the Insight will be available in Honda dealerships through the end of the year with production scheduled to end in the summer of 2014. Honda said the move reflects its ongoing pledge advancing fuel-efficient and alternative-fuel vehicle technologies, which will in turn improve their environmental impact, improve relationships with current customers, and create opportunities for further sales gains. The Insight, introduced in 2009, had posted steadily decreasing sales, from a high of 20,962 units in 2010 down to 4,802 units in 2013. Honda’s hybrid product direction in the U.S. will move forward with greater focus on expanded application of the innovative Earth Dreams two-motor hybrid system. The Earth Dreams two-motor powertrain is among the most fuel efficient available on the market today, as evidenced by its application in 2014 Accord Plug-In Hybrid. The 2014 Accord PHV achieves an EPA-estimated 50 mpg city/45 highway/47 mpg combined. Since 1972, Lejeune Honda has been proud to serve Jacksonville and all of the surrounding areas. We have a full line of all your favorite new Hondas, including the Accord, CR-V, Civic, and Ridgeline. We also have a large inventory of used cars, trucks, and SUVs as well.